Thanks for stopping by! Are you looking to get healthier in 2019? Check out one of my favorite resources! This is going to be a game changer for you!. Healthy eating can be easy! Take a Look! 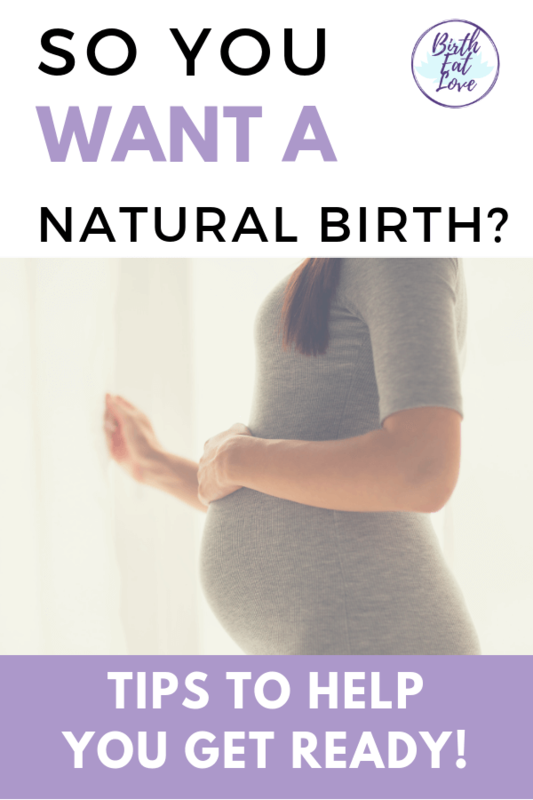 Are you wanting natural birth? Are you wondering how to prepare for natural childbirth? It’s totally possible if you set your mind to it! There are a few things you can do during pregnancy to help increase your chances of having a normal delivery. After having four natural childbirths, I am passionate about helping other Moms have positive birth experiences. Birth is a incredibly intense and amazing experience and one that you will never forget. Welcoming a child into the world is a sacred event. It can be very empowering, but it can also feel powerless if you are subjected to a unwanted induction, or a cascade of interventions. That’s why it’s important to prepare yourself now for the birth you’d like to have, but also educate yourself about all the things that can happen. That way even if birth happens in an unplanned way, you can still have a positive experience. After seeing many of my friends and family members go through tough births and c-sections, I began to wonder – what does it really take to have a natural birth? Why do some Moms have wonderful positive experiences and some Moms have the opposite? For the past several years, I’ve been digging into to this topic and so far my conclusion is this – it’s about educating yourself AND having the proper mindset AND doing a few key things that give you a better chance. Natural birth can mean different things to different people. For me, natural childbirth is allowing the birth process to unfold at it’s own unique pace. Achieving a natural childbirth is possible for most mothers, if you set your mind to it and adequately prepare yourself. While following these tips will not ensure that you have a natural birth, they will make it more likely that you make it to the BIG day ready! Throughout your pregnancy, and for overall general health, it is necessary to ensure that you are drinking adequate amounts of water. When pregnant try to consume about 8 glasses of pure water (or more) a day. On hot days and when being active, you may need to drink even more. Get a water bottle and carry it with you EVERYWHERE you go. This is especially important on the days you attend your prenatal check-ups. One of the first things you do at all appointments is a urine test. If you haven’t had enough water, the results could be flagged and could lead to your care provider ordering tests. Quick tip: Check your urine color after you pee. If it’s yellow you need to drink more water! Take your hydration seriously during pregnancy so that you prevent any unnecessary complications! While we are on the subject of hydration, start drinking red raspberry leaf tea! Red raspberry leaf tea has been used for centuries to help women during the childbearing years. You may have heard stories about red raspberry leaf inducing labor. While this herbal tea does not technically induce labor, it is beneficial in preparing you body for labor. Stock up with a big bag if this amazing tea, and drink 1-3 cups daily. It is also great for postpartum and breastfeeding. This one I love is a great bargain! There are actually quite a few herbal teas that are helpful during pregnancy. Read more about red raspberry leaf and the best herbal teas for pregnancy here. Red raspberry is also great to drink in the days leading up to labor to help get your uterus ready for birth. Many Moms like to make an extra strength red raspberry leaf “Labor Tea” by soaking the herbs overnight. Learn how to make an extra strength labor tea here. Eating a real food, nutrient dense diet is another essential way to prepare your body for a natural birth. Plan to eat 3 big meals a day and at least 2 healthy snacks. Learn about healthy eating and prepare the foods you like in delicious ways. I really discovered my love of food during my pregnancies by following my cravings and experimenting with different flavors and techniques. Quick tip: Eat at least 1 leafy green (kale, chard, spinach) every day. Eating healthy may seem like it’s inconsequential to having a natural birth, but avoiding sugar and processed foods will lessen your risk for high blood pressure and gestational diabetes. Having either of these two conditions can lead to the necessity for medical interventions during labor. The book Real Food for Pregnancy is one of the best resources I have come across for learning how to eat healthy during pregnancy. It’s written by a Nutritionist and Mom and really breaks down the conventional advice around what the best foods are to eat. It’s packed with up-to-date research and helpful suggestions to make eating decisions easier. Read my full review of Real Food for Pregnancy here! Also there are a few foods that you can add to your diet, like date fruit that can help you have an easier labor. Check out some date fruit recipes perfect for pregnancy by clicking here. Staying active is very important during your pregnancy. It provides the foundation you need to ensure that you can handle the work of labor. Low impact activities like walking, prenatal yoga and swimming help relieve stress and provide training for the endurance you will need during labor. 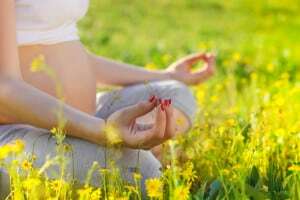 Pregnancy yoga is great for getting the body ready for labor! It helps to align the body and get the baby in position for birth. Two of the best yoga exercises I have found to prepare the body for childbirth are squats and butterfly pose. Check out this post for some awesome prenatal yoga videos that will show you how to do this at home! Develop a daily routine that includes your favorite activities. Gentle stretching and breathing can also be incorporated into your routine which will be a necessary tool during labor. Being in good shape will ensure that you have the physical stamina to endure a labor of any length. Quick tip: Develop a healthy pregnancy routine that includes daily stretching, walking and breathing exercises. 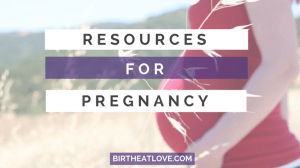 This is a really important step to preparing for a natural birth that you don’t want to skip! Read birth stories, take classes, and talk to other Moms. Gathering information and learning is a big part of preparing for natural childbirth. Birthing from Within: An Extra-Ordinary Guide to Childbirth Preparation- This is the ONLY book I read before having my first! These books were so helpful for getting the proper mindset for having a natural birth. You want to learn as much as possible about how birth works – physically, but also the mental experience. That’s why I highly recommend this 2 books above. Make sure that time is devoted to envisioning the birth you would like to have. Not just a birth plan, but seeing a picture in your head of the result you would like to achieve. How does it look? What does it feel like? This may require you to work through feelings of fear and worry. This is completely natural and should be done well before labor so that it does not interfere with your desire to have a natural birth. Quick tip: Get a journal and use it to place to release your feelings about your pregnancy and the changes you are experiencing. One visualization I found particularly useful was imagining flowers opening. In the final weeks of pregnancy, imagine that you will open just like the flower. Believe in the process. Your body is designed to grow and nurture a living being and deliver it into the world without anything but your will! The human race is here today because women just like you have been having natural childbirth for thousands of years. It is possible and you can do it! Have confidence in yourself and make sure during your labor you surround yourself with people that support that confidence. Using birth affirmations is one way to build confidence and faith during pregnancy. Follow my Birth Affirmations Board on Pinterest for over 1000 affirmations to help you get started! Disclaimer: All opinions are those of the author based on personal research and first hand experience. Please do your own research and consult your care provider when making decisions regarding your pregnancy. Do you need a childbirth class to have a natural birth? You do not necessarily need to take a childbirth class to be ready for a natural birth. I have had 4 natural births and never took a childbirth class. Mostly because time wise it did not fit my schedule and at the time (11 years ago when I had my first) there were no options online. But also because I did not find the idea of sitting in a room with a bunch of strangers trying to Lamaze breathe very appealing. BUT you do need to prepare in some way! There are MANY online childbirth classes now available that make it easy to learn in the comfort of your home. If you are feeling like the free resources out there are just not enough, consider an online childbirth class. I’ve looked at a LOT of them and I have to say that one stands out – the Mama Natural Birth Class. Why? I’ve followed Mama Natural, Genevieve Howard for YEARS and she was at the forefront of the natural birth movement years ago…pushing the envelope of how to naturalize and normalize the birth process. Plus I love how she keeps it REAL. In this video, Genevieve outlines her tips for making birth easier! The online birth class she has developed is taught in coordination with a Nurse Midwife and is one of the most in-depth classes out there when it comes to truly preparing for natural birth, no matter where you choose to birth. Get access to the Natural Mama Birth Class here! What does natural childbirth mean for YOU? How are you preparing for your natural childbirth? What tips do you have for birth preparation? I’d love to hear your opinions! Wondering how else to prepare for baby? These posts can help! Learn how to make your own Red Raspberry Leaf tea for pregnancy and labor here! Lean how to stock your fridge with the best foods for pregnancy and breastfeeding here. So that when postpartum gets here you are ready (and can still eat)! Getting ready for postpartum NOW so that you can heal faster and easier. Read this post to find out all the natural essentials to get before baby arrives. This 11-Page Toolkit walks you step-by-step through the process of establishing a routine that supports your pregnancy and prepares you for childbirth. Success! Now check your email to confirm your subscription and get your planning toolkit. Healthy Pregnancy birth prep, childbirth preparation, natural childbirth, pregnancy. permalink. I used Red Raspberry Leaf tea and that helped a ton for mine. I may have missed this, but did you mention a birthing ball? I sat on that all the time when pregnant and it helped my baby get into the perfect position for birth. I also didn’t see any mention of any assisting personnel here? For first-time I highly recommend having a midwife, or at least a doula present, although I have definitely heard of people giving birth at home with just their family present. I didn’t even know what a doula was until I went to a prenatal Yoga class and they had a doula there helping with exercise ball movements. Who knew?! (not me at the time). Lots of good tips though. Thanks! Thanks for your comment Cosette!! Love your suggestions! I never used a birthing ball, but know many Moms that have found birth balls like this one https://amzn.to/2Pn8hMa helpful. And totally agree that having a midwife, or doula can help with having a natural birth!